Our Thread’s first meeting took place at the University of San Diego’s Kroc Institute for Peace and Justice. Our Youth Peace Leaders brought with them a diverse range of experiences and perspectives. They all had personal experiences with immigrants and immigration in the U.S., which impacted their desire to effect change. 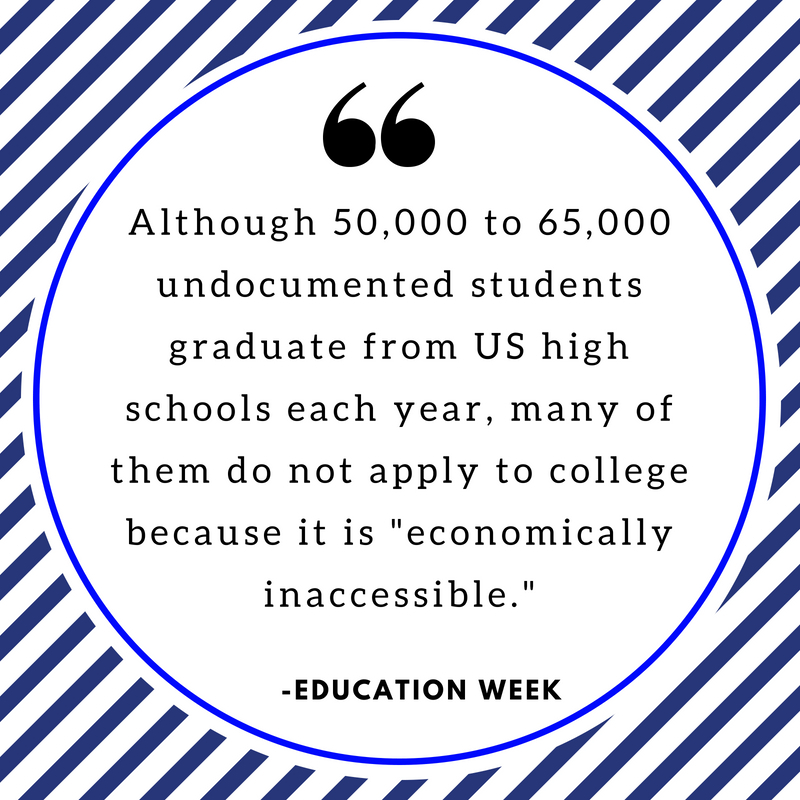 They felt obligated to inform their peers and communities about issues surrounding immigration. This group of high school students was also particularly interested in immigration policy and the way that it affected individual lives. They emphasized that many people think of immigration policy as a lofty, intangible concept, but they all knew that real lives were caught in the middle of Washington policy debates. In our initial Thread meeting, the group decided that they wanted to focus on the undocumented community. We then attended the Human Centered Design workshop, digging into what we thought would be our target audience. 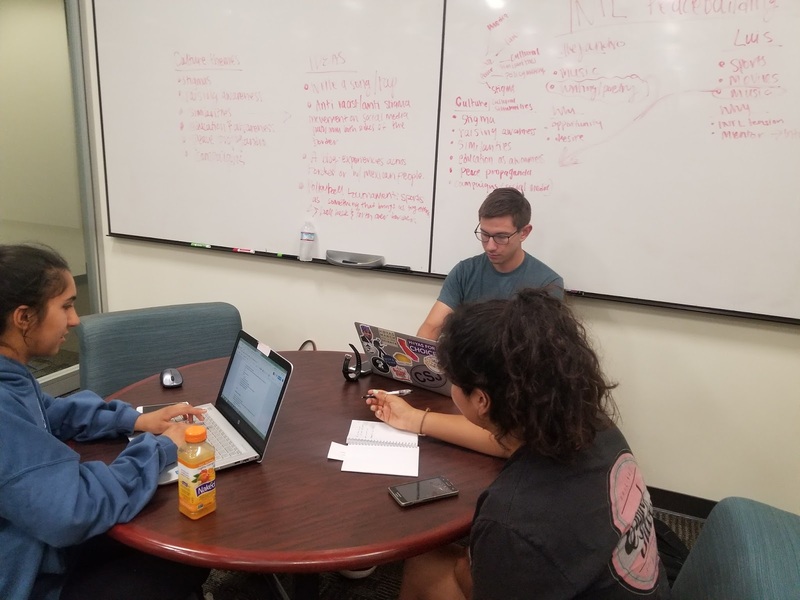 We were all really passionate about uncovering the myths and misconceptions around the undocumented, and addressing the ignorance that many people have regarding the undocumented community. This meant that the project’s target audience would be the average American youth, specifically students who are still learning about the world.Therefore, the high school students in our Thread really wanted to create something that could be shared in their schools. In order to combat ignorance around the undocumented community, the Thread settled on the idea of making a documentary in which they would interview people who are undocumented and record their thoughts and answers. Our idea went through a lot of growing pains while we determined how to do this effectively. We came up with the name “Documenting the Undocumented” as the title of our short film. The high school students in our Thread were AMAZING and took a lot of initiative, going out into their communities and interviewing those who wanted to share their stories. Our goal was to raise awareness of the effects of immigration policy on real people through their own voices. We ended up with over an hour of interview audio that the group cut down to under seven minutes. This meant that they had to part ways with valuable content that they simply could not fit into the documentary. At one point, we thought that we would never be able to finish this project with such a short time frame, but through the incredible hard work and countless hours spent on the project by the Youth Peace Leaders, we put together a documentary that was showcased at the SFI Summit Event. It ended up being very different from how we initially planned it, but that was part of our learning journey. For example, we originally wanted to include footage of the interviewees, but then realized we could be putting them in danger.Showing them on camera meant they could be identified. So instead, we decided to use publicly available video clips that would complement the audio of the interviews. 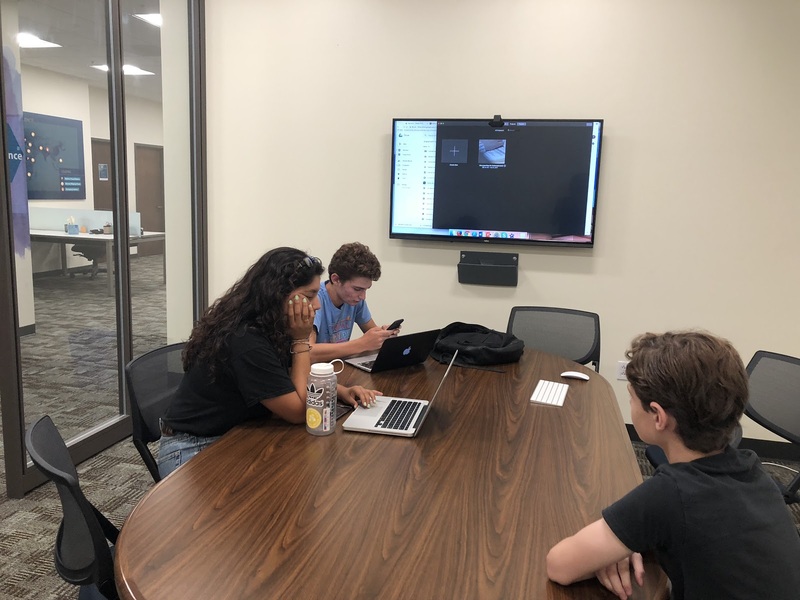 While we admitted that it may not look as good as having actual interview footage, we understood the limitations and were able to put together an amazing finished product even with this constraint! Our Thread had an idea that we knew would be very difficult to implement. First, there was the issue of protecting the identities of the people being interviewed. As put by our mentor María, “undocumented communities have legitimate hesitations when it comes to disclosing their identity and putting their story out there.” And this is why our Thread struggled to find interviewees. As challenging as it was, it was a very good learning lesson for the students; it gave them a better understanding of the hardships and struggles experienced both by people who are undocumented, as well as the advocates working to support them. In order to help solve this problem, we declined to use any identifying features in the interviews and took them out of any context that might reveal their identities. Then there were the ethical considerations, such as how we would tell their stories without imposing our own values or agenda into them. In this regard, the finalized project is not perfect. However, through these difficult discussions, the Youth Peace Leaders realized how much thought and consideration goes into creating sensitive projects like this. 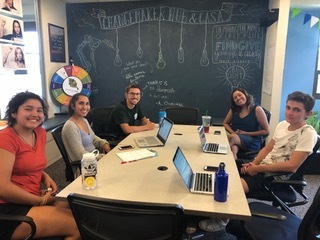 As Interns, we enjoyed watching the Youth Peace Leaders come up with an idea that was totally their own, work through the challenges, find creative solutions, and then to see their project come to life! And it was especially amazing to see how proud they were with the final product. We all learned an incredible amount about the undocumented community and how to implement a project. We not only got the chance to sit with and interview people who are undocumented and learn about their experiences, we also gained the experience of designing and implementing a project with no prescribed instructions on what to do or how to do it. The youth in our Thread were so passionate and ready to make change TODAY, and they were especially excited about the freedom they had to make the decisions. Youth are often told what to do and are expected to follow the directions given. But that is not what SFI is! It bodes well for the future of our society to spend time with young people who are able to identify a problem and take the initiative to do something about it!